One of the most powerful outcomes of a conference is not necessarily the information you absorb, but the people you meet. This weekend just gone I travelled to Melbourne to take part in the 3rd Problogger Training Day. I attended last year, and by the end of that day there was no doubt in my mind that I would continue to go to this conference every year for as long as Darren runs it. 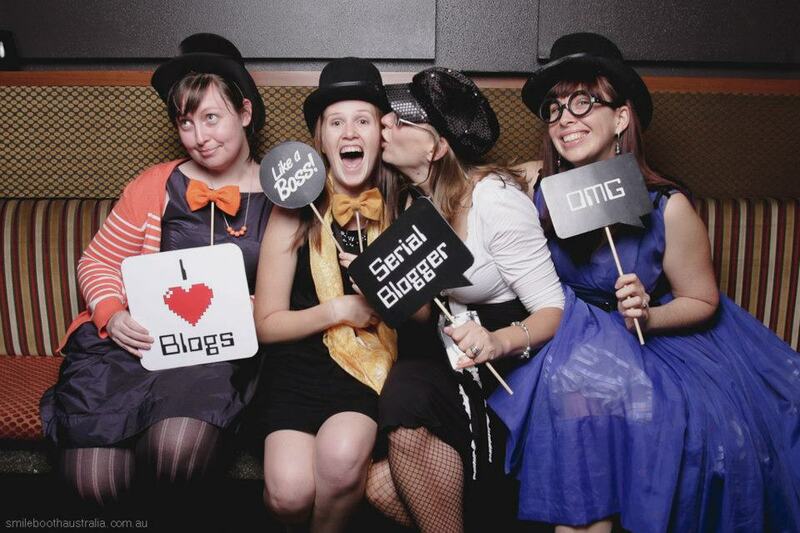 The conference was 2 days jam-packed with amazing presentations and panels featuring a wide range of awesome bloggers. People who knew their stuff – who have achieved success in their chosen niches – and who were there to share the lessons they had learnt over their blogging careers. 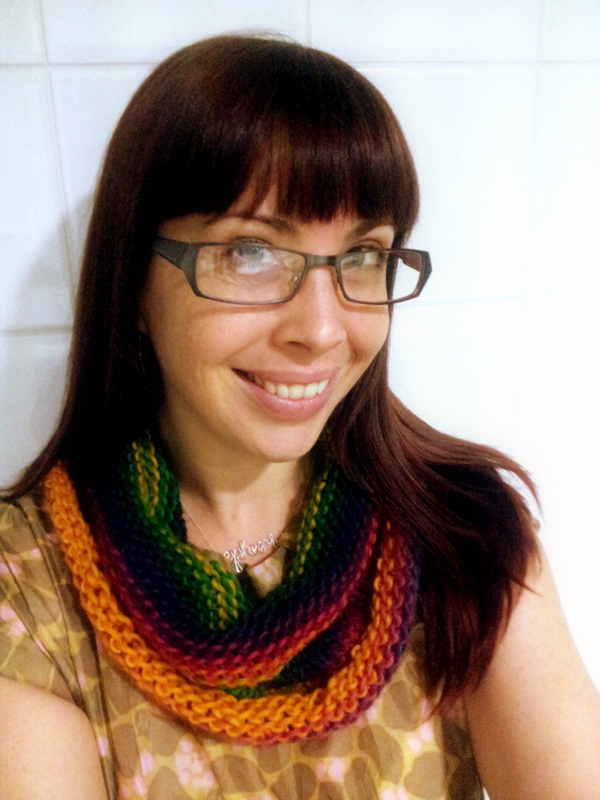 My brain was pretty much a sponge for the duration of the conference – I didn’t even take notes, in fact, I spent most of the sessions knitting what is now known as the #pbevent cowl. I find that my brain is calmer when my hands are busy – less likely to get distracted and more able to absorb what I’m hearing. 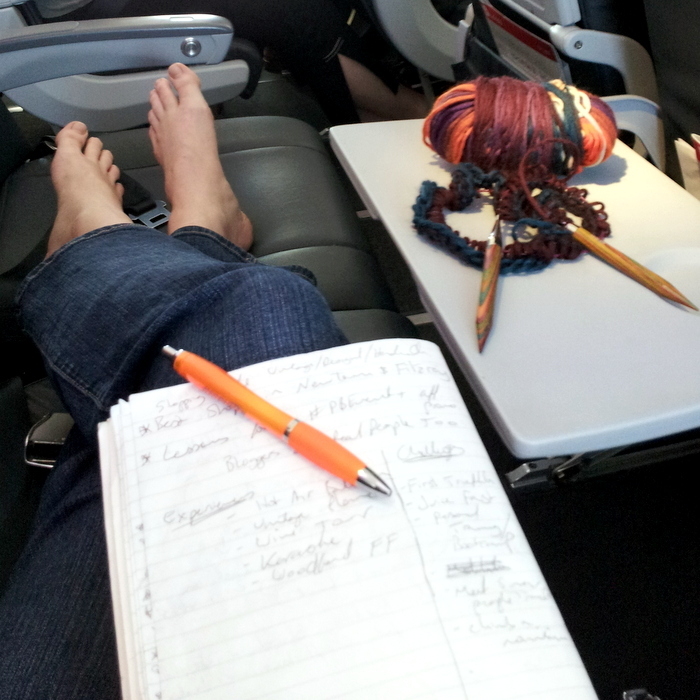 On the plane ride home I wrote out a few pages of notes and thoughts (and started another cowl, ’cause, you know, it gets so darn cold in Brisbane) – the things and ideas that had stuck with me. Everything I learnt – or re-learnt – was golden… but at the conference itself, my focus was on the people I spent time with. 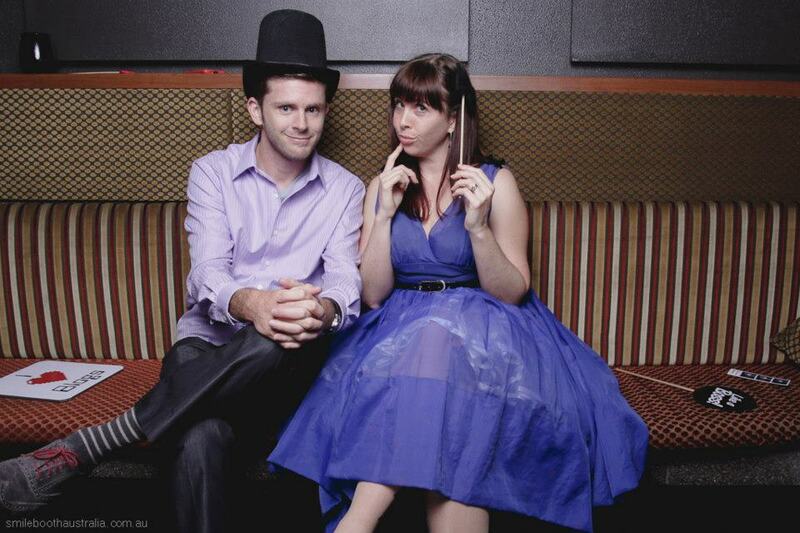 I met new people – including the phenomenal Chris Guillebeau, whom I was lucky enough to have some one-on-one advice time with in one session (not to mention a few minutes of silliness, photo-booth style – I still maintain it should be mandatory for him to wear a top hat.). I re-met old friends and acquaintances – like Cinti, Ali, and Chantelle. I smiled at people I never got to speak to. I swallowed my ever-present fear of talking to new people. I’m not usually at ease in party-style or conference-style situations – my innate shyness kicks in and I quake at the thought of just wandering up to a stranger and saying hi. However – and this is really, honestly true – the more you do it, the easier it gets. Because you know what? Bloggers – even famous ones – are just people. They are just like you and me. Their level of fame and success really doesn’t have much to do with whether they’re going to be an awesome person to speak to in real life. You’ll never know whether or not you click unless you walk up and just say hi. Introduce yourself. If you know who they are, but they don’t know you, think up an intelligent question to ask them about their blog or their work before you walk up so you have a ready-made conversation starter. Even if it’s just ‘thank you for what you do, it really resonates with me’. Now, I’m no super-famous blogger, but I have met plenty of folks over the last few years who admire what I’ve achieved. I speak regularly, I share my small nuggets of wisdom on and offline in the hope they’ll help others. Can I therefore tell you something from that perspective? It’s a sweet and wonderful thing when a person takes the time to actually come up to me – or to reach out via email – and tell me how something I have said or done has helped them. Those interactions truly make my heart soar. I always email back or reply with a sincere ‘thank you SO much for taking the time to tell me that – not many people do’. It can be a cold and lonely world on the internet – putting yourself out there and not knowing whether anyone will read what you have to say – let alone gain a profound experience out of it. Because bloggers – even famous ones – are just people. They have fears and insecurities, and successes and failures. They have good days and bad days. They get grumpy. They forget things. They have a family who they may or may not get on with. They are not perfect. They do not have super-powers. They have a need to hear that what they do matters – just like anyone. So tell them, and trust me, they will appreciate it. If you’re not heading to a meetup or conference any time soon, why not just pull up a new email message and write a quick note to someone you admire? Who knows, it could be the beginning of an amazing connection! *that’s an affiliate link, baby. In fact, I have something extra-special for you, too – the first 5 people who buy virtual access to the conference through my link go in the running to win a US hardback copy of Chris’ latest book, The $100 Startup (I did a video review of it here). His sessions during the conference were some of my favourite – and you’ll get a heads-up on something I’ve got cooking, too! 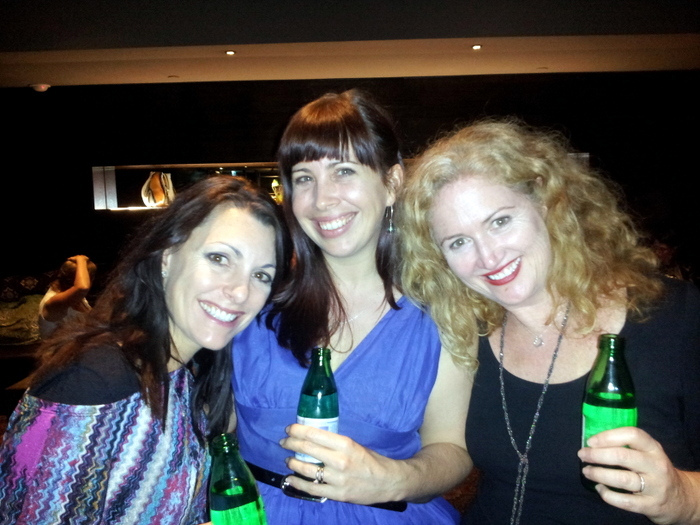 I’ll be at pbevent next year, Nathalie, so would love to meet you there if you are too! I cannot get over that you had a whole ROW to yourself on the plane! Lucky girl!!! Your blogger event reminds me of the Tucson shows for the jewelry artists here in the US. It is so fun to see the faces on blogs walk up to you in real life! And it’s all good, because many of us are shy, there’s nothing to be afraid of. So glad you had a good time, Jess!